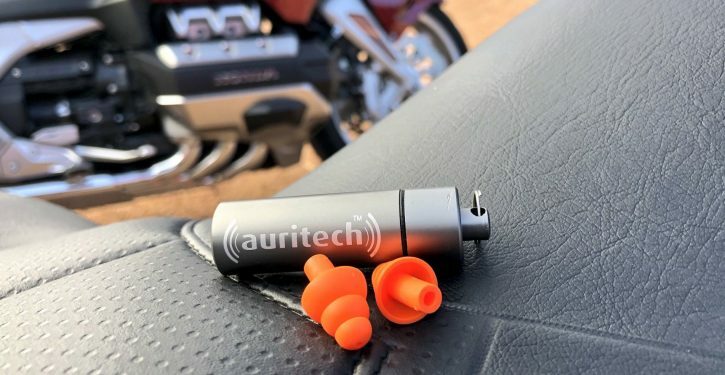 Auritech, one of the leading suppliers of specialised hearing protection for motorcyclists, is using National Tinnitus Week (4-10 February) to remind riders to protect their hearing while riding their bikes. Motorcyclists are among those most exposed to the risk of tinnitus, an irreparable and permanent ringing in the ears caused by exposure to loud noises. Recent tests by Auritech, conducted in conjunction with the University of Southampton, showed that wind noise generated at a steady 70mph exposed the rider to 100.8dBA – enough to cause permanent hearing damage in as little as four minutes. At 80mph, the noise generated increased to 103.8dBA – with a safe exposure time of just two minutes. Additionally, Auritech carried out a survey into motorcyclists’ attitudes towards the wearing of hearing protection. This revealed that over a quarter of riders said that they had problems with their hearing and that half of all motorcyclists did not regularly wear hearing protection. The British Tinnitus Association (BTA), which has created National Tinnitus Week to raise awareness of the condition, says that their research suggests that six out of 10 tinnitus sufferers have difficulty sleeping, while four out of 10 felt that the condition has caused them to feel isolated and has led to them changing their social life. 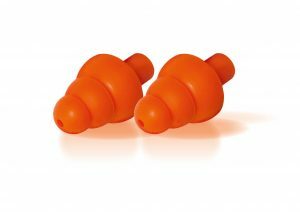 Auritech has created a range of filtered ear plugs which reduce the harmful high frequency wind noises while allowing the wearer to hear the important, low frequency, ambient sounds. This means that riders are still able to hear speech through intercom systems, as well as crucial traffic sounds. These filtered plugs overcome one of the key objections many riders have, namely that solid foam earplugs can make them feel isolated and unsafe while riding. “We’re really pleased to see the BTA’s initiative to raise awareness of tinnitus and the effects it can have on sufferers,” said Wendy Faulkner, Director at Auritech. “Motorcyclists are among those at highest risk of damaging their hearing, as permanent damage can be caused in just a single journey, which is why we feel that it is important that bikers wear good quality hearing protection whenever they ride on the open road. The British Tinnitus Association has further information on the condition at www.tinnitus.org.uk as well as a freephone number – 0800 018 0527 – for anyone who wants to know more about the condition.